NPL, in collaboration with CCPI Europe, have designed a slimline integrated self-validating (“inseva”) thermocouple with the same external form factor as conventional thermocouples, with the aim of making them suitable as direct replacements for existing thermocouples in process. Type S thermocouples have been manufactured in recrystallized alumina-sheathed assemblies, with Cu and Co–C reference ingots, with an outer diameter of 7 mm. The new slimline inseva thermocouple is, in principle, suitable for use in the same positions and conditions as the conventional thermocouple which it replaces. 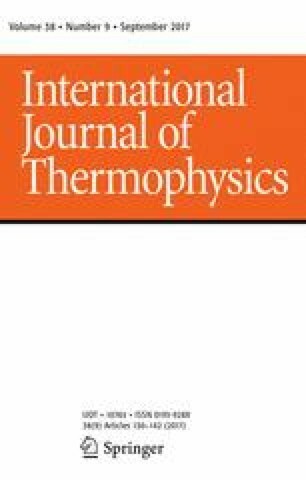 This paper reports the initial reference ingot melt and freeze plateaus successfully observed using the first inseva thermocouples, and demonstrates observation of furnace sensitivity and ramp rate sensitivity of the plateau temperatures. This project (14IND04 “EMPRESS”) has received funding from the EMPIR program co-financed by the Participating States and from the European Union’s Horizon 2020 research and innovation program.